We created these best suction side pool cleaner reviews to provide to help anyone seeking accurate, honest feedback. 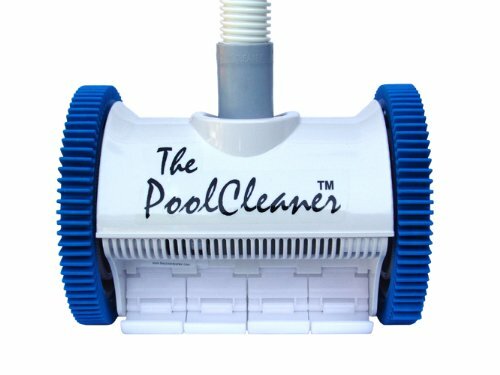 Suction pool cleaners are more affordable than top robotic pool cleaners and are easier to maintain than pressure pool cleaners, but they do have their faults. Overall, they help you maintain your pool and make your life a lot easier at an affordable price. This isn't to say they are perfect (if you have leaves buy a leaf canister), but these automatic pool vacuums are certainly awesome to have if you don't want to spend a ton of money. They are typically just a couple hundred bucks, but make sure you buy the right one for your pool size. We don't want you to waste money by purchasing a bad suction cleaner, or one that doesn't fit your needs because we know how annoying it can be to buy a bad product. 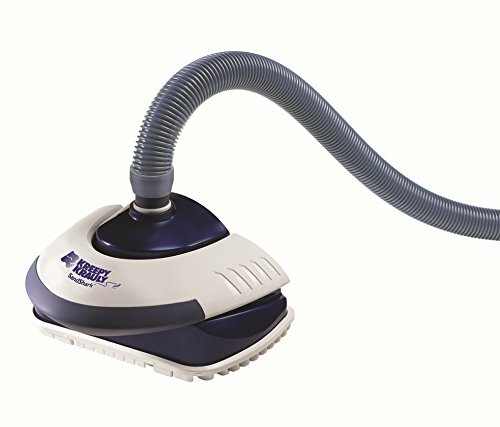 I've reviewed a number of suction vacuums - 10 in fact, and I highlight them in the table below. Be sure to read the best suction pool cleaner buying guide below. The Hayward Poolvergnuegen is seriously FANTASTIC. For startsers, it's really easy to set up - particularly with Hayward's installation guide. It doesn't remove SUPER FINE dirt or sand well, so if you have a lot of sand and don't like the feeling of it on the bottom then this may not be for you, but it definitely will pick up almost everything. While the Hayward Poolverneugen isn't good at cleaning fine stuff such as sand, it is awesome at removing larger items like rocks and sticks. To help with leaves just be sure you get the line leaf canister (maybe around an extra 20 bucks), but it's definitely worth the little extra cost. While a few people mention that it's ideal for less curvy pools, it handled all pool shapes in our case effectively and most people tended to agree. The 2 wheel design makes sure that it is constantly chugging along and never gets stuck! The 2 year warranty isn't bad either. It's longer than other warranties for similar products, and has decent coverage. You can find the warranty here. 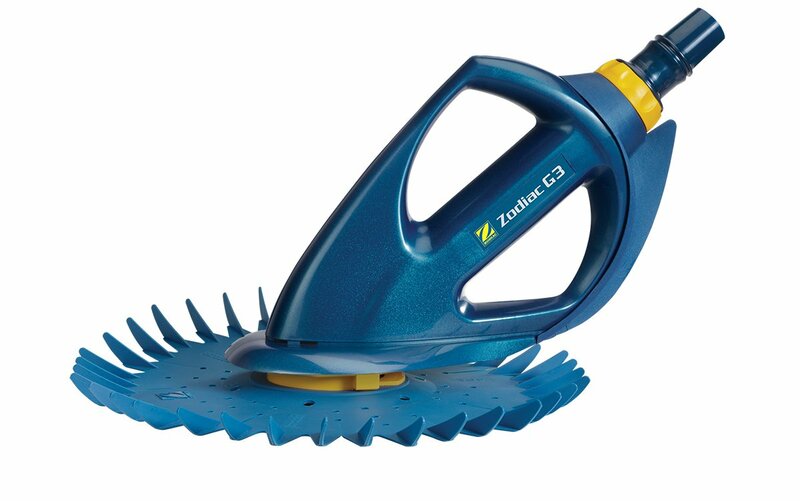 Bottom line: This is easily the best suction automatic pool cleaner that we reviewed. With a powerful cleaning ability that is evident everywhere in the pool the Hayward Poolverneugen is easily worth its average price. 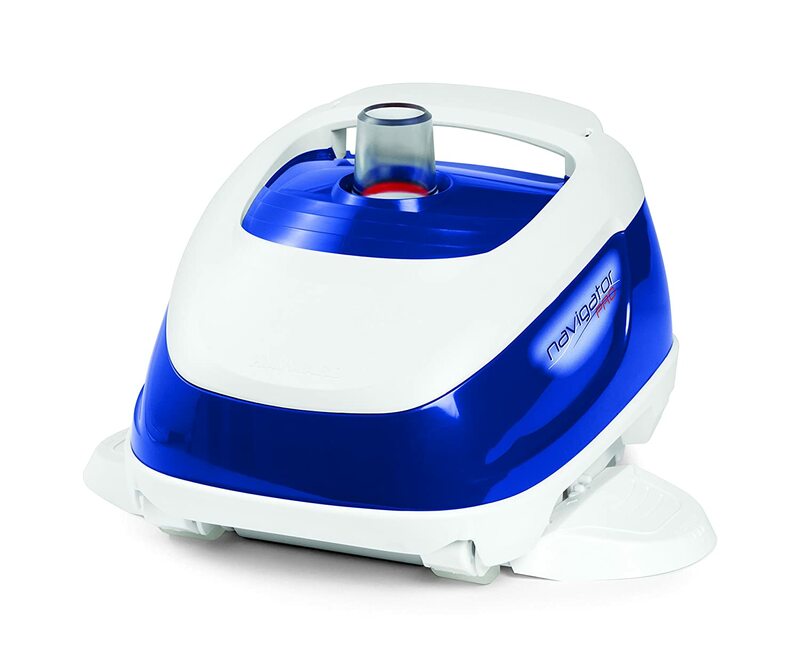 The Baracuda G3 is an affordable suction pool robot that works extremely well. It's perfect when used to remove small or medium sized rubble and does it well. However, it's not great for larger things like sticks or leaves (making it not the ideal choice if your pool is under a tree with large, or lots of debris). One of the great things about this Baracuda is that it will actually improve the cleanliness of your waterline - which actually separates it from other products. The biggest thing that caught my eye was that it claimed to reach all around the pool - especially the impossible-to-reach steps. Unfortunately, it didn't deliver and I still had to clean the pool steps myself. A less annoying problem I found out was that it's not great for some pool shapes that are more complicated. It's definitely outstanding for a simple rectangle or oval shaped pool. It'll still help pools with more complicated shapes, but just expect the Baracuda to miss some spots. Want to look at the warranty in more detail? Check out the Baracuda's warranty here. In case your warranty is out and you need spare parts then you have no need to worry. They are easy to find and you'll easily be able to find extra parts for the Baracuda here. Bottom line: The Baracuda G3 is awesome and very affordable. I highly recommend this for most people looking for an inexpensive solution that comes with a good clean. If you're looking for an immaculate clean and have a powerful suction pool pump then the Hayward AquaNaut 400 is a great choice for you. However, it truly does require a lot of suction and if you don't have it then it won't work well for you.This is probably because the system was designed to be very powerful. When it's working, the Aquanaut has a really strong sucking power so it can easily handle all types of waste. One of the awesome things about it is that it will keep your pool floor SPOTLESS. It has a great in-built navigation system that also comes with some preset pool patterns. Unfortunately, it's not as good with pool walls - failing to climb all the way up consistently. However, it makes up for its inability to climb the entire wall (normally does about 2/3 of the way up) by having an awesome 4 wheel system. This prevents it from getting stuck and allows it to travel smoothly across your pool - even against rough surfaces. Unfortunately, it can get worn pretty quickly by rough surfaces (such as cobble/pebble floor) so don't get the Hayward Aquanut if you have a rough pool surface (concrete/gunite is fine). However, Hayward offers a pretty good warranty for the Aquanaut which you can find here. Parts for the Aquanaut aren't quite as plentiful as other options. However, you can find some great replacement parts for your Aquanaut here. Bottom Line: The Hayward Aquanaut 400 is a great buy ONLY if you have a strong pool pump and will give your pool a GREAT clean. If you're not sure about the strength of the pump then explore other options. The Hayward PoolVac XL is an above ground pool vacuum that is solid and dependable. With its proprietary SmartDrive steering it gets just about everywhere on the pool floor and walls - though it isn't great with steps. It also left everywhere it reached immaculate it went - and I only really have to brush the steps. It isn't good at removing big items such as rocks and sticks which is the only major con I found. A slightly smaller con is that it isn't great for larger pools (50 feet or more). The thing that I really enjoyed about the Hayward PoolVac XL for Concrete Pool is that it is so easy to set up and deploy in my pool, and take it out. To set it up (and it's super easy to install), check out this user manual. Unfortunately, the warranty for the Hayward PoolVac isn't too great. You have 90 days for a limited warranty, unlike the Poolverneugen which comes with a 2 year warranty. You can read the warranty here. Bottom Line: The Hayward Poolvac XL is a top suction swimming pool vacuum out there. Although it isn't perfect, I believe that almost anyone would make good use of it. Well, you truly get what you pay for. 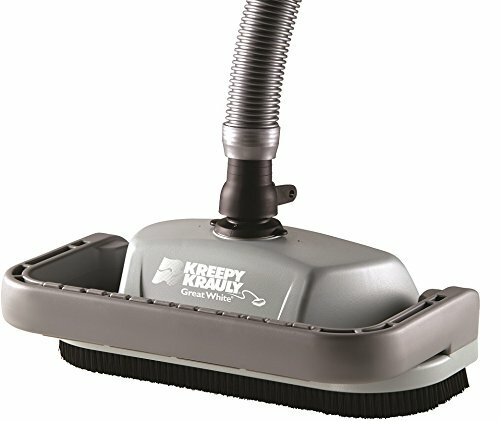 The XtremepowerUS Automatic Vacuum-generic Kreepy Krauly may be the one of the cheapest on the market, but it shows. Yes, it actually cleans the walls and is generally pretty fast. Unfortuantely, there are no other real pros. As a bit of a disaster, its weak (although automatic pool) suction means that it has a relatively bad removal ability and it is easily clogged by leaves. By constantly getting stuck because of bad navigation I found that this suction water vacuum really did not save me any time. It MIGHT be okay for small, rectangular pools that only need light cleaning, but even in this case opt for higher quality in order to help your pool filtration system. It would be better so you don't waste the money on this (even though it's not much). Bottom line: It's almost more time to maintain and watch than it is to actually help maintain the pool. However, it may be worth a buy if you have a really small pool. P﻿entair Kr﻿eepy Krauly Great White is one of Pentair's top products. It's extremely well priced for the amazing removal it delivers. This Kreepy Krauly really helped with the pool maintenance and is a practically flawless inground automatic pool cleaner. Unfortunately, it can sometimes get stuck in circles. However, it is a pretty rare occurrence and isn't a really large problem. It happened only a couple of times for the three years it has been in use. It is also versatile because it handles all types of pools (regardless of shape, size, or material) so you don't have to worry about it not working in your own pool. If you have issues you can check out the user guide or the manual. In case you are having other issues with it that you can't resolve, you may consider getting a replacement. You can find their online warranty here. It isn't the easiest to read though - you'll have to rotate the screen a bit. 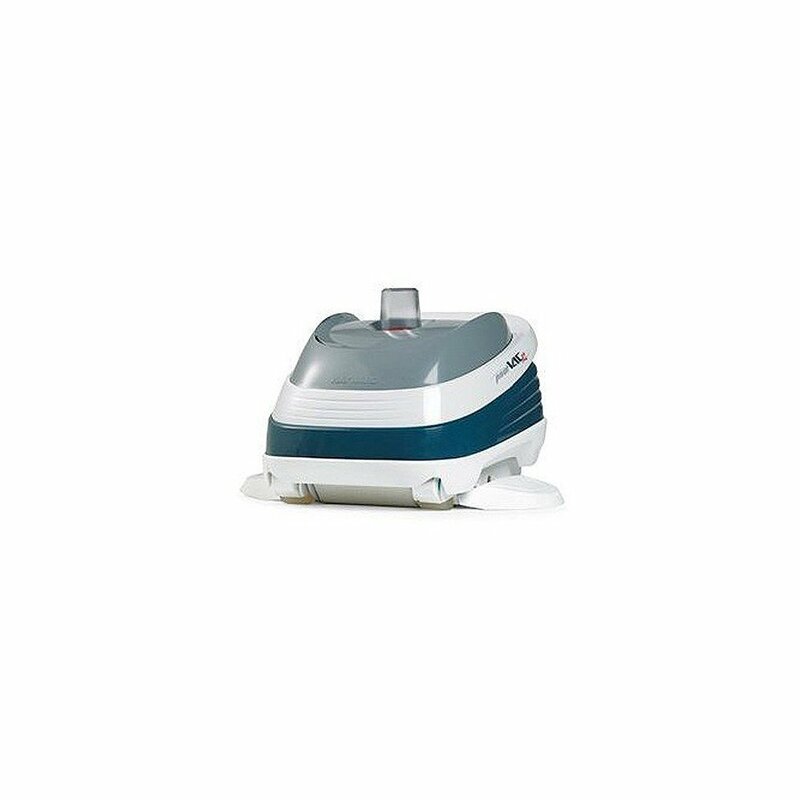 Bottom line: The Great White is one of the best suction pool vacuums that has few problems and is quite versatile! The Pentair Sand Shark is extremely high quality and is a great tool to help with pool maintenance. It definitely can't claim to be #1, but it's definitely good enough to deserves consideration by anyone. First, we can go with the cons before we lay out the good stuff and fortunately it only really has 2 cons. The first, is that the Pentair Sand Shark isn't good for pools with complex pool floors. By "complex pool floors" I mean pools with a lot of obstacles on the bottom because they can make the Sand Shark get stuck. The second con is that when the filtration pack/bag becomes full then it can cause the sand Shark to stall and stop moving. This isn't too bad of a con because the filter bag is a pretty good size. If you're on top of emptying it then this won't be a problem at all. One of the features that makes the Kreepy Krauly Sand Shark so outstanding is that it has amazing cleaning width. At 12 inches and about 30% more than other options in this list, this makes it less likely to miss spots in the pool and more likely to pick up your debris and help your pool filtration system. This feature really comes to shine if you have a lot of fine debris such as sand, dirt or algae since it'll sweep it all up. This Pentair option is not only a good cleaning assistant, but it is able to handle a big variety of pools. While it isn't big enough for competitive or most commercial pools, it will be able to navigate most private pools because it has a 32 foot hose. Depending where your suction side port is located in your pool, a 32 foot hose can allow it to get around pools up to about 45 feet in length. Keep in mind this is HIGHLY dependent on where the suction side port is located so it might not be able to help your pool. 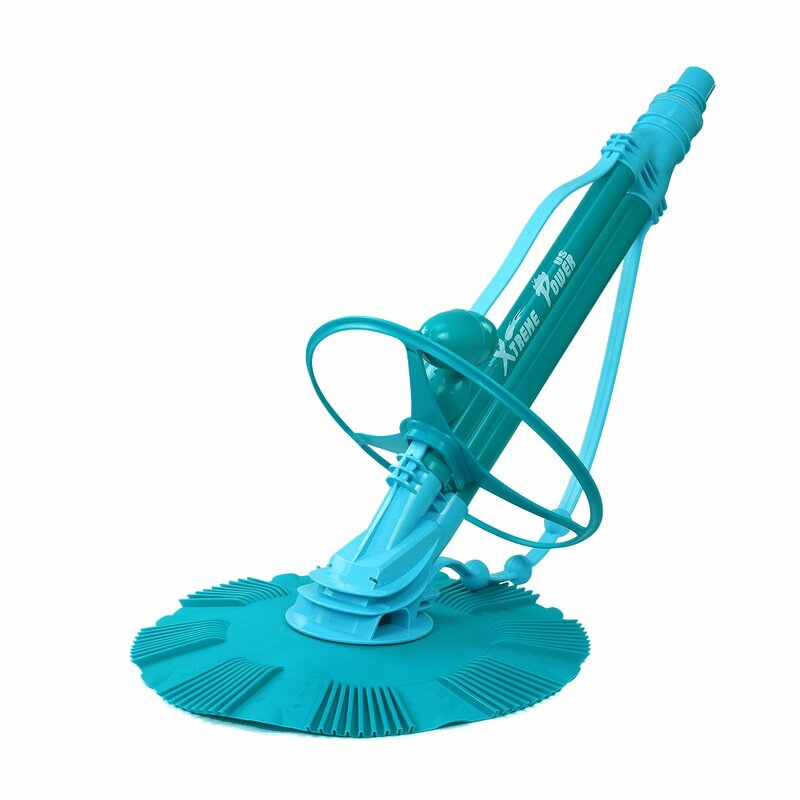 Bottom Line: It's a great suction swimming pool cleaner ideal for inground pools. It has a great cleaning ability because of its dual cleaning ability and has good coverage. It's easily worth its medium-low price point. Zodiac MX8 Suction-Side is a SOLID. Unlike other ones we reviewed it doesn't require a lot of energy and ﻿still works well with mediocre pumps. While it has great pool coverage and cleans most of the pool it will occasionally get stuck and you'll have to restart it. It was designed to be able to make a swimming pool sparkling and crystal clear. While I found this to be true for the most part it sometimes isn't able to deal with larger leaves (for most people this isn't a problem). The only other con was that it only typically lasts 2-3 years which isn't terrible, but isn't great. However, the fact that it can leave the floor, walls, and steps immaculate definitely makes it worth it. Bottom line: Awesome pool product that will get the job done. It will reach almost everywhere in your pool and will clean it well. The Zodiac MX8 will even work well if your pool has a weak pump. 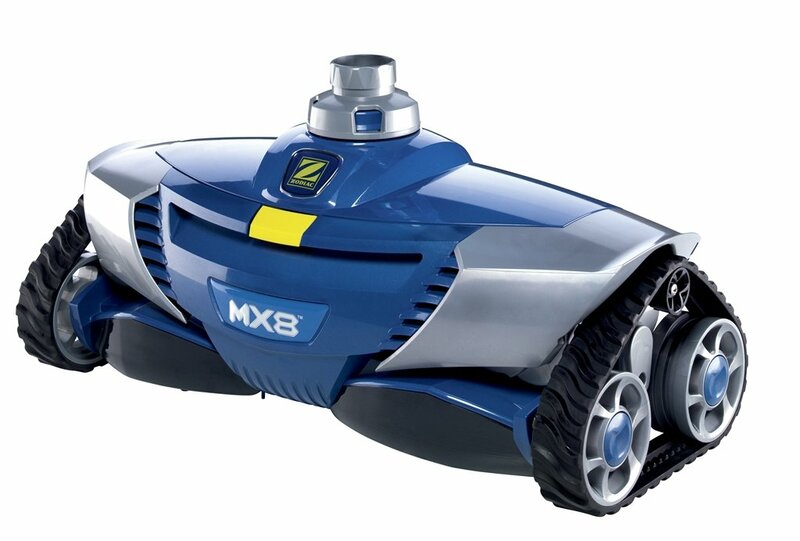 The Hayward Navigator Pro is a pool robot with a lot of potential. Admittedly, it's a pretty odd word for an automatic pool cleaner, but as you read on you'll understand. First of all, it's a dream to set up. Out of the box, you'll have it up and running your pool within the half hour - which is INCREDIBLY fast for this class of product. Second of all, it cleans like a dream. It'll get all the junk in the pool - big and large or sand & large leaves - this Hayward product will get it all. Better yet, it'll go through your entire pool and remove everything. It's advanced SmartDrive steering allows it to go through every nook and cranny of your pool. Yes, the Navigator Pro can do all of this when it's working (it has some consistency issues). This is why I used the word potential. Myself and many other users have found that after months or even weeks the Navigator Pro will need replacement parts. Don't be lured by the sales agents - you will spend more money and waste your time hoping the Navigator Pro will save you time, but if you do get it you'll only realize that it takes more time than it saves. Bottom Line: Do NOT Buy the Hayward Navigator Pro. It's a good cleaner when it works but you'll spend a lot of time and money getting it fixed up. Get a better one for a cheaper price - there are a ton of these available. 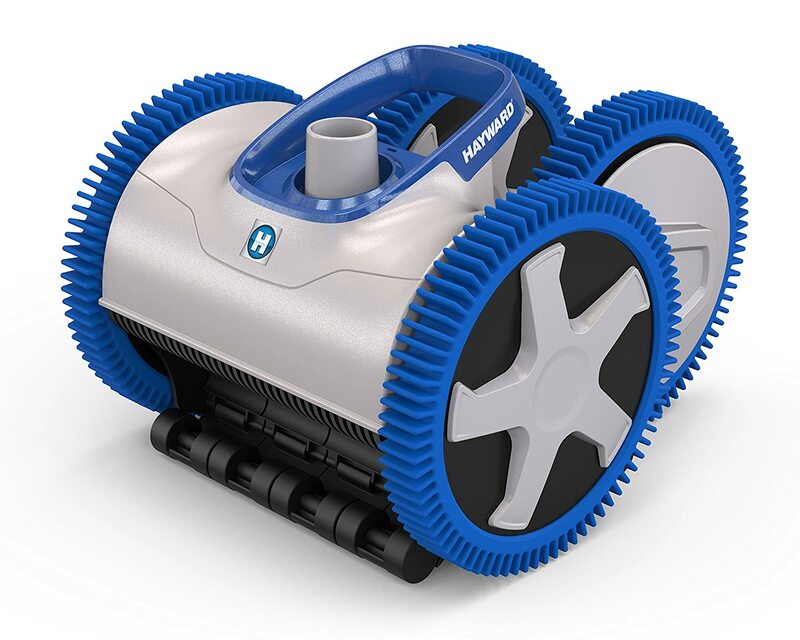 The Pentair Kreepy Kraul Warrior a leading option in the space that is great for anybody looking for the best suction pool cleaner robot. It's a full on dream - it works on all type of pools (concrete/gunite, fiberglass, vinyl) and is good for small to moderately sized pools. It doesn't ever get stuck or clogged either which is rare for some suction side pool cleaners. However, one small exception is that while it doesn't get stuck, sometimes it'll stay cleaning in the deep end. It can have trouble getting into the shallow end. Unlike others, the Pentair Kreepy Krauly Warrior actually climbs your pool walls. It'll get most of the dirt and algae (if you have any). I say most because while it has good coverage and is good at removing algae and other junk, it's not powerful enough to get everything. 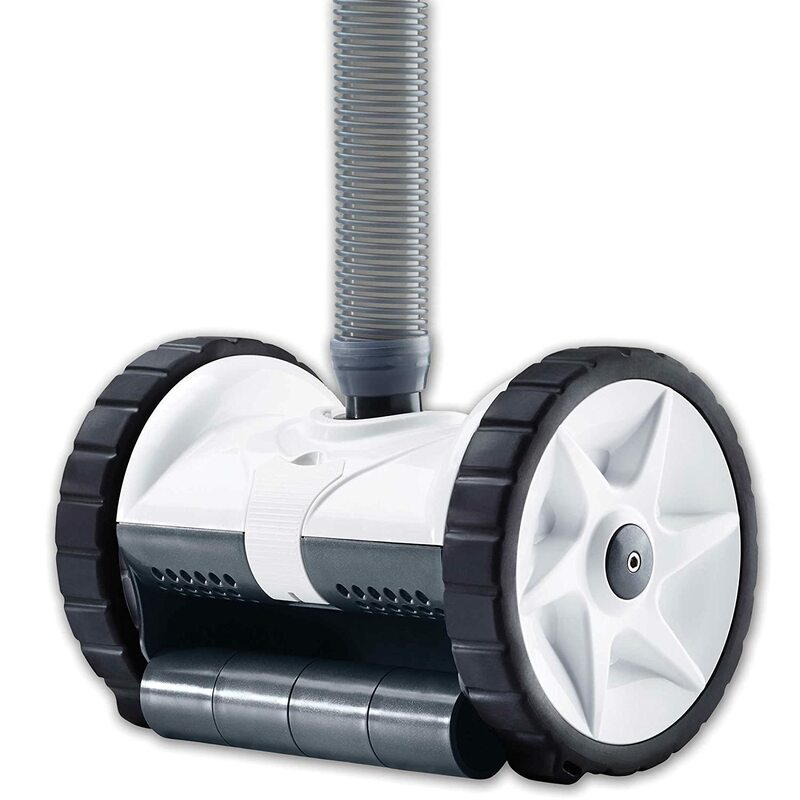 Bottom Line: The Pentair Kreepy Krauly is an outstanding cleaning robot. Solid and dependable, it is a great deal for a good price and will be sure to be bring satisfaction to any owner. The 3 we highlighted are definitely some great options, but it doesn’t mean that they are right for you. Remember to select the right one that fits YOUR needs. Cleaning a pool can be a pain, and it’s recommended to know what it entails. The ones we picked are good for all types of situations but don’t necessarily specialize in one area. When picking one make sure to keep in mind: price, pool shape, pool material, pool size (something that people easily forget about), items in your pool, cleaning frequency, and cleaning intensity. You do NOT need an EXPENSIVE suction pool cleaner that meets all of these well. Understand your pool’s needs to pick the right one for you so you don’t waste money. For example, if you only have fine sand and small leaves in your pool then you DO NOT need a heavy duty pool vacuum capable off handling big sticks and heavy rocks. It is not necessary and you will waste money paying for the premium product. It’ll still work fine, you’ll just be paying more for the same results. Most importantly be sure that you have a suction side port you can attach to otherwise there is no point in having a suction pool cleaner. It also helps to have a pump to increase the suction, which means increased cleaning power. It’s not necessary, but you’ll find that it will help stay on the walls better and pick up larger debris. All of these products are worth buying (with the exception of #2). Just make sure that if you really want to make the most out of your money then you buy the one that is well suited for your pool. Be sure to check out our top 3 picks because these definitely stood out above and beyond the rest — and for good reason. After all, we don’t want you to waste your time and money on a bad suction pool cleaner. Thanks for reading and let me know if you have any more questions in the comments! I LOVE helping people pick the right products for their needs and will be happy to answer any questions regarding our suction side swimming pool cleaner reviews.